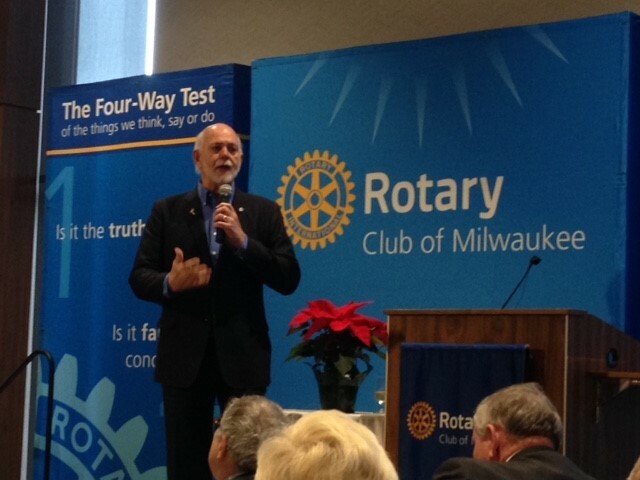 The Rotary Club of Milwaukee hosted current RI President Barry Rassin on Tuesday 4 December. There were 23 D6270 clubs that sent one or more representatives to be part of this special event. 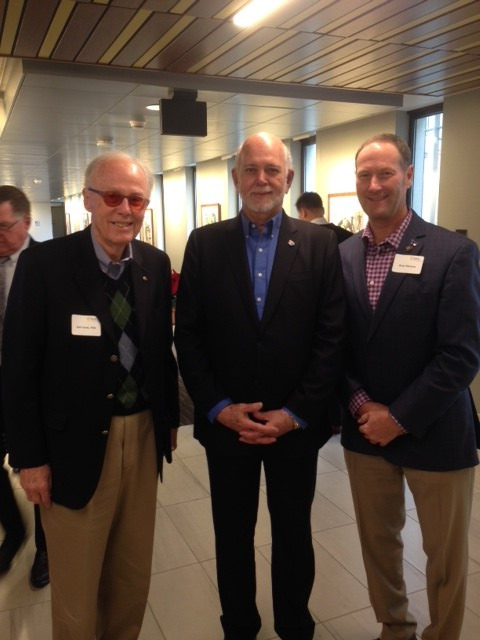 The Mequon and Thiensville Rotary Clubs were represented by PDG Karl Hertz and Brian Monroe. President Rassin explained the design and call to action behind this year’s Rotary theme “Be the Inspiration”. President Rassin shared updates with regards to the Polio Plus and many positive life changing projects funded by our dollars that we give to The Rotary Foundation. He also asked us to make sure that are clubs are relevant in order to keep our members engaged and to be attractive to younger leaders.